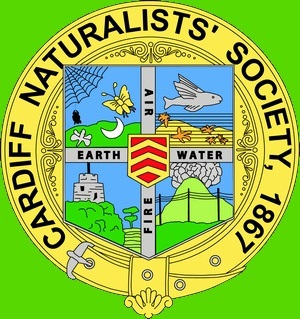 The Cardiff Naturalists’ Society is currently celebrating it’s 150th Anniversary and we find ourselves looking at our history and considering how things repeat if people do not change their habits to secure the natural world and a sad tale about impact on our financial plans to share environmental talks with the people of Cardiff. Sadly, many are failing to learn from history that such behaviours as simply dumping things into the sea are reprehensible as this type of behaviour was being condemned more than 100 years ago. At this time of year it is generally a pleasure to take a walk along a nice riverbank as we will be doing next Sunday on our annual birdwatch, However we know we will see some environmental problems even before we set out. If you look in the trees on most of our riverbanks at this time of year it is a sad sight with plastic dripping from the bare, low branches, and we would encourage everyone to think carefully about anything that they are about to throw away, and ensure that it done in a sustainable way that does not pollute our natural world. Sadly, this is another take of history repeating itself. In 1871, the Society fell upon evil times, the society had employed as Collector of the subscriptions a certain Mr. Buckley, who in the end absconded, failing to pay over to the Treasurer a sum of £ 27.00 (about £2300 in today’s money) The Society was thus rendered almost insolvent, and the number of members became much reduced. The bulk of the tickets were sold via Ticketline (see http://www.bbc.co.uk/news/uk-wales-southeast-wales-42097021) and who went into receivership just after our event, and while we still hope there is a positive resolution, there is doubt and a possibility that we will never see the money. Luckily because we had the bequest from Dr Gillham we are not rendered insolvent this time around, but it is sad that we will have to think a lot more carefully about the staging of such events without those reserves.